Gentle Yoga is suitable for all ages and abilities. 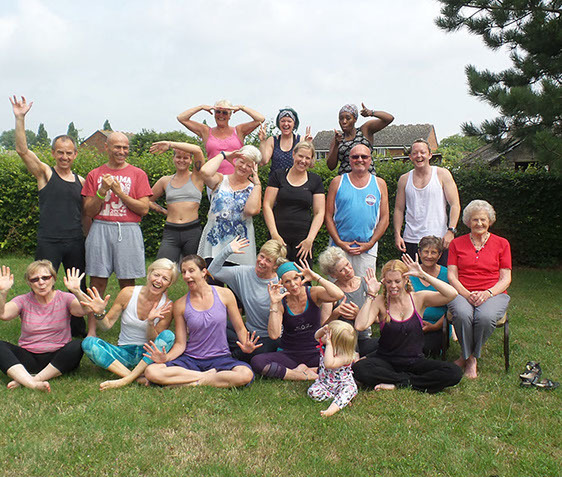 There may be many reasons why you would choose to attend this practice and they might include; an injury or life changing condition, age or health related issues, a simple desire to slow things down or just starting your yoga journey. Students are encouraged to practice within their own boundaries, using props, blocks or/and straps to make the practice more suitable to your needs. I will suggest the use of a chair for those who find it difficult to get down and up from the floor – most of the poses in yoga can be achieved either by sitting on or using the chair for support in standing poses. In Gentle Yoga, I will take just a little extra time to explain and break down the poses, finding adaptations to each pose according to particular needs. A typical practice will be an hour long and include breathing practices and meditation as well as the postures. The breathing practices and meditation play an important part in helping us to manage pain as well as calming the mind changing how we feel in our daily lives.